The future of connected cars is here, and the statistics for speak for themselves. The connected car market continues to grow at a staggering 5-year compound annual growth rate of 45% – 10 times as fast as the overall car market! 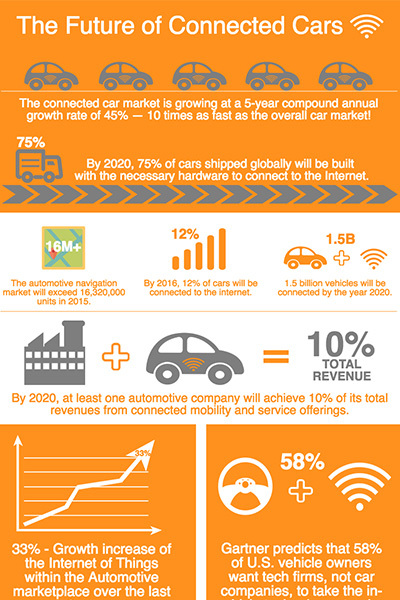 By 2020, 75% of cars shipped globally will be built with necessary hardware to connect to the internet. Soon, tech companies and not car companies will take the in-vehicle technology steering wheel, and Symbio is committed to helping clients redefine the driving experience and the industry for customers around the world.